Every spring I join thousands of mycological nerds on a hunt. 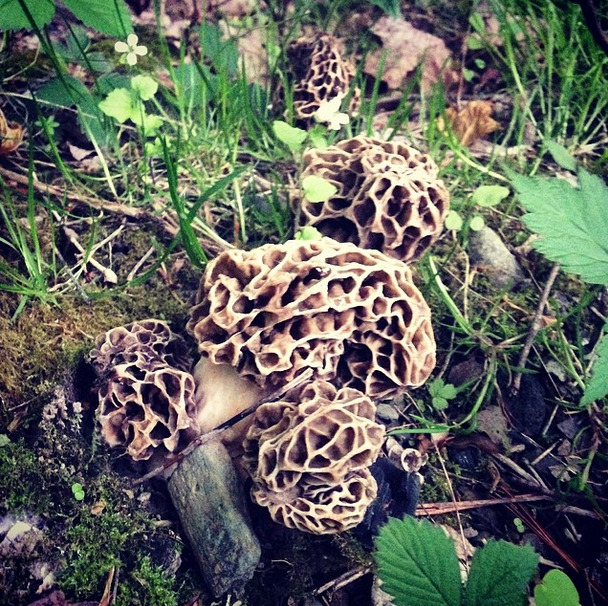 I find myself spending hour after frustrating hour in search of an elusive prize: the morel mushroom. Along the way, I might spot a flush of oyster mushrooms, the odd polyporous squamosus, and of course the most ubiquitous, turkey tails. Mushrooms are really fun to spot when you're walking through the woods. I can’t quite pinpoint what it is, but there is something about mushrooms and mushroom hunting that is beguiling to the point of causing obsessive behavior. Recently, I’ve been reading about how a few of these obsessives are turning their passion for fungi into some brilliant and very useful inventions. One of the most well-known mycologists is Paul Stamets, of Washington State. Stamets has over 25 patents related to mushrooms: From antiviral compounds to pesticides, or as he calls them “mycopesticides,” to filtration systems for oil spills and other toxic chemicals. He even has patents to use parts of mushrooms to create building materials. In Stamets' TED Talk, he outlines 6 ways he believes mushrooms can "save the world." Indeed, Stamets' ideas have impressive implications. Using the mycological techniques he developed, we could drastically reduce the use of chemical pesticides to control over 200,000 species of insects. There is increasing evidence that chemical pesticides and herbicides are causing the decline of the world's honeybee population. By switching to a more biologically natural method of pest control, this trend could be reversed. In the world of medicine, mushrooms have long been known to be fighters of infections and diseases. The penicillium fungi (used to make penicillin) is the most widely used, but other strains are used to combat many ailments. Stamets has been part of a group of mycologists touting the healing effects of turkey tails, one of the most common mushrooms in the world. Stamets' own mother contributes part of her recovery from cancer to these mushrooms. 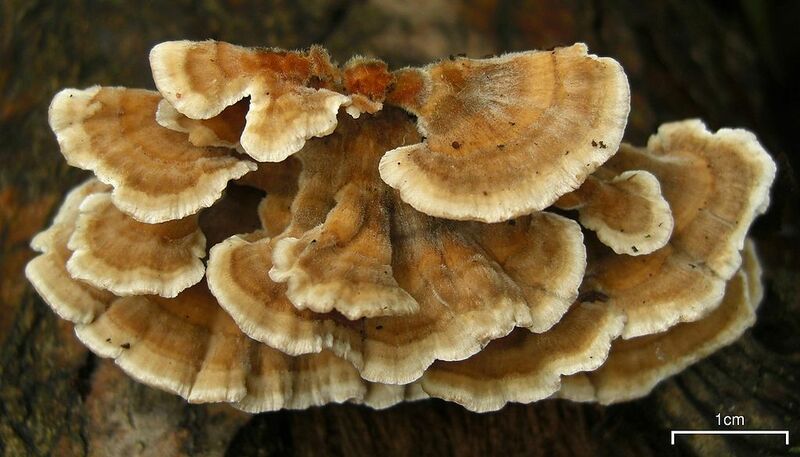 Turkey Tail mushrooms such as these have been used in traditional Chinese medicine for centuries. Wikimedia commons image. Paul Stamets has inspired a devoted following, including Trang Tran, a recent MBA graduate of Colorado State University's Global Social and Sustainable Enterprise program, in Fort Collins, Colorado. Tran recently has found success with her company, Fargreen, which has brought together a network of farmers in Vietnam that have been empowered to use spent rice straw from their fields as a growing medium for gourmet mushrooms. Tran, who grew up in Hanoi, was inspired to come up with a solution to a common problem: smoke from the burning of rice straw was causing pollution problems in her home city. The company has garnered the interest of investors and grant-makers, and is on track to produce thousands of kilos of mushrooms that will be brought to market in the coming years. Another fungi startup is Ecovative. Eben Bayer and Gavin McIntyre are the co-founders of a science-forward design company has patented several methods for using mushrooms as packaging materials, in automotive parts, as insulation, as structural biocomposites, in surfboards, as electrical ciruits and in other products. The two were mushroom foragers and students who met at Rensselaer Polytechnic Institute in Troy, NY. They wanted to come up with a way to harness the strength of mycelium, the microscopic root-like structures that provide the foundation to the fruiting bodies of mushrooms, and test the limits of what could be done with it. Sooner than later, they discovered that mycelium would bond with a host of materials, including metals. They have even developed "mushroom circuits," which conduct electricity. The results of all this work have the potential to change the world. So the next time you find an oyster mushroom or a morel in the woods, consider the fact that you are holding one of the most ancient and versatile solutions to some of the world's toughest challenges. Be sure you know what you're doing when hunting mushrooms. There are many that will make you very sick. How Mushrooms Can Save the World Plastic-Eating Mushrooms Could Save the World Corn Husks and Mushrooms: The Future of Architecture? Insulation Made From Mushrooms?